Sometimes the best gifts can only be truly appreciated after the giver is gone. 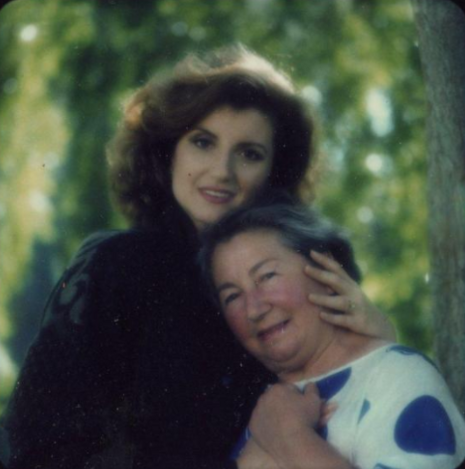 I dedicated my book Thrive to my mother, Elli, “who embodied wisdom, wonder, and giving, and made writing this book a homecoming.” Reflecting on her life this Mother’s Day, it’s clear that she is deeply intertwined in the spirit of Thrive Global. My mother never went to college, but she would still preside over long sessions in our small kitchen in Athens discussing the principles and teachings of Greek philosophy to help guide my sister, Agapi, and me in our decisions and our choices. And she was the one who taught me about this new definition of success and the need to do everything we can to protect and nurture our human capital, because building and looking after our financial capital is not enough. I still remember, when I was twelve years old, a very successful Greek businessman coming over to our home for dinner. He looked run-down and exhausted. But when we sat down to dinner, he told us how well things were going for him. He was thrilled about a contract he had just won to build a new museum. My mother was not impressed. “I don’t care how well your business is doing,” she told him bluntly, “you’re not taking care of you. Your business might have a great bottom line, but you are your most important capital. There are only so many withdrawals you can make from your health bank account, but you just keep on withdrawing. You could go bankrupt if you don’t make some deposits soon.” And indeed, not long after that, the man had to be rushed to the hospital for an emergency angioplasty. My mother understood the importance of prioritizing time to recharge, and, when it came to time, she was filthy rich. She moved through her days like a child does, living in the present, stopping, literally, to smell the roses. A trip through the farmers’ market might be an all-day affair of wondering at how lovely the rosemary looked next to the lavender, with little thought of All the Things That Must Be Done. I still often think of the advice she’d give my sister and me when we were faced with a hard decision: “Darling, let it marinate.” In other words, give yourself the time to think about and live with the consequences of the decision. She despised multi-tasking. She believed it was a way to miss life, to miss the gifts that come only when you give 100 percent of yourself to a task, a relationship, a moment. In other words, being connected in a shallow way to the entire world can prevent us from being deeply connected to those closest to us — including ourselves. And that is where wisdom is found. There isn’t a single corner of my life that isn’t filled with my mother. She is, without question, the foundation of my existence. She brought me up to believe that there was nothing I should be afraid to try while at the same time making it clear that she would love me not one iota less if I failed. And I learned just as much from her death as I did from her life. When she died, she left no will and no prized possessions — not surprising, since she had a habit of giving such things away. For instance, there was the time we tried to give her a second watch — and within 48 hours she had given it to someone else. But that doesn’t mean she didn’t leave a rich inheritance. Certain gifts can be passed on, or only truly understood, after the giver dies. What she left us with was what she embodied while she was alive: nurturing, simplicity, unconditional loving and a connection with the sacred that was so complete that it felt like those dimensions of life were taken care of for all those blessed to be in her orbit. Which I still am — both in her orbit and being orbited by her. Love. Not even death can take it away.